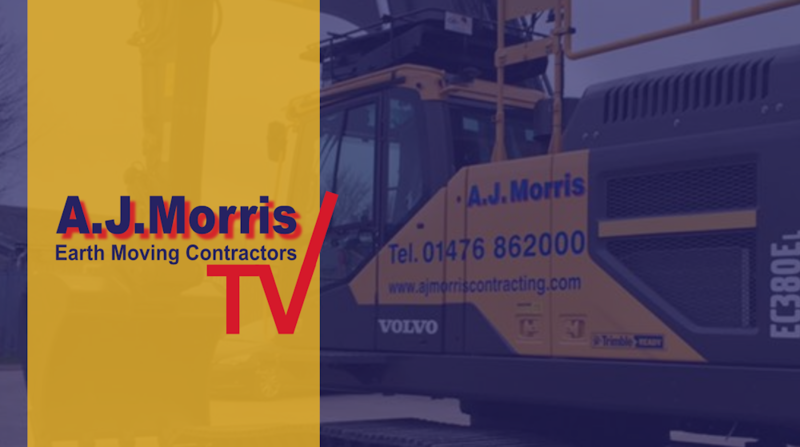 A J Morris are a professional earth moving contractors based in the East Midlands who specialise in delivering water retaining structures including reservoirs, lakes, marinas as well as general earth moving, groundworks and restoration works for commercial and private clients. Our head office is based in Sewstern, near Grantham, Lincolnshire, in the East Midlands, United Kingdom but we operate nationally delivering high quality earthworks solutions to a highly technical specification and standard, adhering to the Highways Specification and the Dams & Reservoirs Act 1975. We have an extensive fleet of earth moving equipment, coupled with highly skilled operators and management teams. AJ Morris have the skills and expertise to deliver high quality technically challenging earthworks projects which exceeds client expectations, delivering our works on time, to budget and in a highly professional manner. We work for Tier One Main contractors and private clients alike and have carried out the role of Principal Contractor under Construction Design & Management Regulations 2015. Client satisfaction is key to our mantra in delivering an exceptional service. 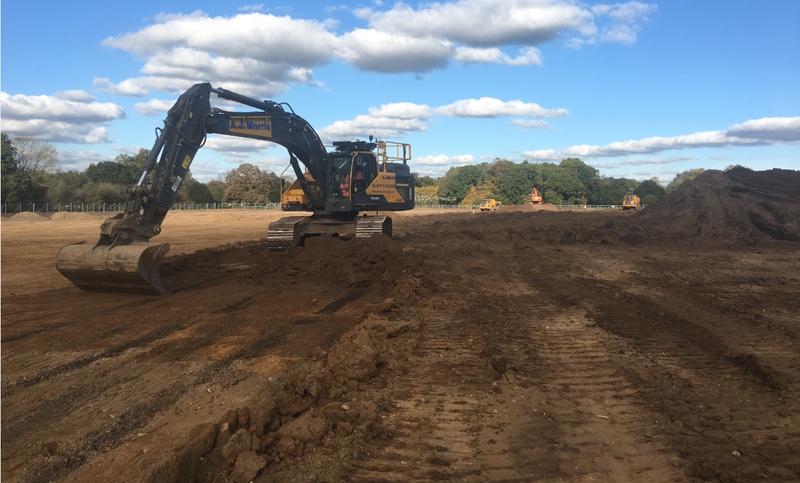 Whether we are bulk earth moving or ground reprofiling a reservoir, lake, marina, housing development, polo pitch or sports field, A J Morris Limited are your number one choice for earthworks services. Our team of construction experts tailor our earthworks and plant hire service to the needs of each individual client, as we recognise that each client is different! Contact us now to discuss your future project needs and for a no obligation quote. I should just like to write and thank you for your excellent work building our 15,000,000 Gallon Reservoir. I can't believe that the construction has been completed within a month of first arriving on the scene, converting a bare arabale field into a manicured and smooth 6 acre hole! Your staff were extremely courteous, as were the delivery and despatch of your huge vehicles. Well done, good luck, and rest assured we are delighted. I would like to personally thank all sub contractors for their efforts on this project, indeed several sub contractors have made a most notable contribution towards delivering the scheme on time, and to a very high standard. AJ Morris LTD were engaged to construct a number of lakes and landscape features in a green field setting as part of the preliminary works for the construction of a significant new country house. Not only were the works carried out to time and budget but they were also well planned so as to cause minimum disturbance. The end results are outstanding and have quickly matured so that they fit their setting incredibly well and would seem to have been there for generations. A perfectionist with equipment to match, I'd recommend Adrian to anyone with copious amounts of material to move, whom want it moved cost efficiently, in the minimal amount of time......1st Class Muckshifters.